The transportation system of any country passes through various stages of evolution in the course of its history. The first trials are those of the pioneers -the men and women who, braving the terrors and hardships of the unknown, push forward and onward, opening up country, and adding new provinces to the State. The trails they blaze are narrow and tortuous, made by heavily laden men, or pack animals. Consequently they follow the valleys and watercourses, choosing the easiest way, and making detours round obstacles, however small. As the country becomes more settled, wheeled traffic is used and wider roads are cleared between the most important points. These usually follow the original trails, but unnecessary bends are often straightened out by clearing away the smaller obstacles. From this time on the roads are straightened and the surface improved, until the time comes when so much traffic is passing over their that local transit by road is not rapid enough, or convenient enough. At this stage, tramways and light railways come into being, to connect the points between which most of the traffic passes. These are frequently tramways used solely for passenger haulage, and whose motive power is horses. Occasionally they are electric, and still more frequently steam. The steam and electric lines are often used to transport merchandise in addition to the passenger traffic. 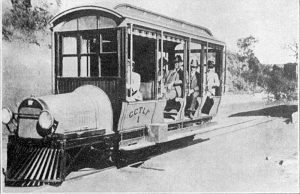 The addition of petrol driven vehicles to light railway service is, however, rather unusual; still, instances of this are in existence. One of these is an interesting little road that runs from Joaquim Egydio to Lacerda, in Brazil. It is a sixty centimeter (two feet) gauge line, slightly over five and a half miles in length. It is a typical hill country line; the grade varies from three to three and a half per cent., and there are seventeen curves. 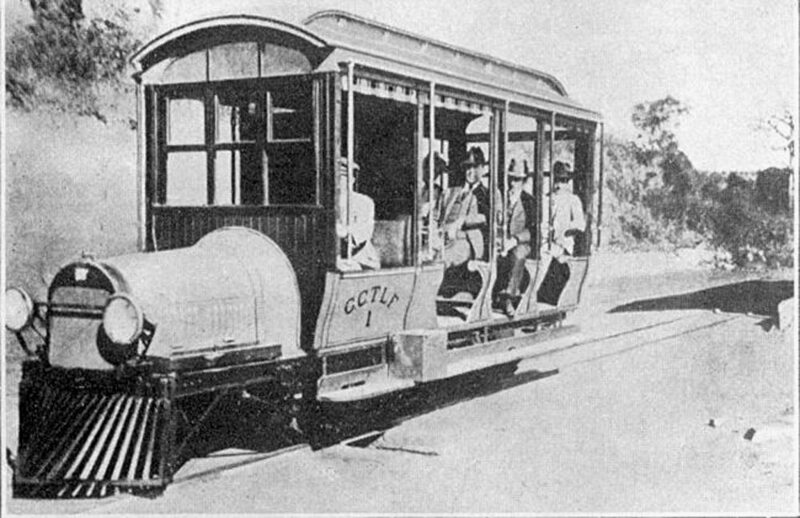 The passenger vehicle is a specially constructed tram car, into which a Buick automobile engine is built. This vehicle carries 25 passengers, and replaces the steam engine that used to operate the line. The motor tram makes the journey in half the time the steam train used to take, and burns less than three pints of petrol, as compared with two cubic meters of wood consumed by the steam engine. Commodities are also transported on this little railroad by means of a goods vehicle, and this also is propelled by a Buick engine. 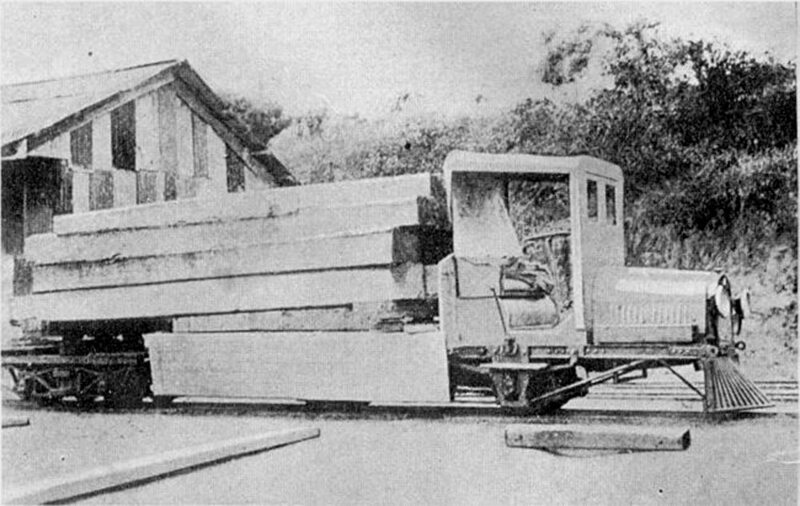 Our illustrations show the motor tram car on this line, and the goods car loaded with over eight tons of timber. In the coffee picking season it carries great quantities of coffee.